The polar vortex was all over the news just a couple of weeks ago. It broke negative-degree records all over the United States and redefined our local idea of cold. For example, the Twin Cities hit an all-time low of -32F, the lowest since 1996, and some states even recorded temperatures as low as the South Pole. This put an emphasis on the importance of having a reliable heater. So as folks started pushing their heating bills up in Sioux Falls as wind chills dropped the temperature to -55 degrees Fahrenheit, everyone started thinking about just how long their heater will last and what other things they could use to beat back the persistent winter chill. 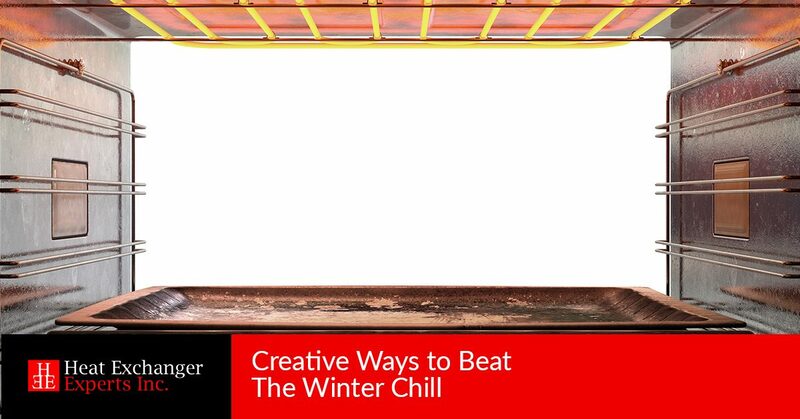 We’ve collected some of the most “creative” ways people are staying warm this winter, which really make a new furnace and heat exchange system look awfully appealing. In potentially one of the most half-baked DIY schemes we’ve seen, one internet user suggested that you collect a small grill, a plant pot, a heat-proof mat, and a dish to create what can only be described as a mildly effective 1700s-era heating device. First, place the heat safe mat on the table, then place the dish with a couple of lit candles inside. Put the grill over the top and turn the plant pot upside down and center it over the burning candles. Use a coin to cover the drainage hole in the pot and boom, you’ve got what is essentially a terra cotta oven that you can’t cook tamales in. We wouldn’t recommend this method if your area is facing extreme, polar temperature drops this winter. This might seem counterproductive, but it could be clever if you don’t have an override button on your thermostat. If you, for some reason, aren’t allowed to tamper with the thermostat in your house or workplace, trick it into raising the temperature by putting an ice cube on top of it. We don’t actually recommend doing this as it’ll drastically change what your thermostat thinks the temperature is. It will likely cause the heater to kick into overdrive and heat the whole house past what is necessary. The sun is, obviously, pretty warm. Thus, according to this tip from the all-knowing internet, a very effective way to help you warm up the house is to just open up the curtains and let the sun in. The sun, at that point, will do its very best to warm up the floors, your furniture, and you if you bother to stand in the path of the window. How does this tactic measure up against an actual heater? It doesn’t measure up at all, because it’s not a method of warming your house if it’s a cloudy day or if you have UV-blocking windows that will combat the heat rays trying to come through those window panes. One excellent source actually recommends just turning the oven on to warm up your house. This quick tip entry avoided instructing us on whether or not we should leave the door to the oven opened or closed while attempting to see if this method is effective. We assume that, like the microwave, you should likely keep the door closed on the oven while it’s running? They also neglected to mention whether the ideal temperature to set the oven to, if you should try and meal plan while doing this, cook a roast or just run the cleaning cycle, but we’re sure it’ll work either way, probably. If people are searching for tips like this, they clearly have no idea how effective their heater can be. Attend one of our excellent seminars and brush up on your heat exchanger knowledge so you can sell these super valuable home appliances to the people using the above tips as they’ll actually work in the serious winter ahead of us. Find a seminar near you to get started today.